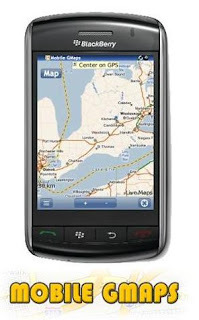 Mobile Gmaps is an Java based application for mobile phones. This can work with Yahoo! Maps, Windows Live Local , Ask.com, Open Street Map. When you are connected to internet on your mobile, as your search and browse the maps, the map tiles are downloaded from the web and are displayed on your mobile. This is where Mobile Gmaps is of great help even when you are offline. it helps you to download these map tiles and browse offline. · Track your position using GPS as you go .....and much more! Its free.You need to be slightly tech savvy to load map tiles on your mobile. all you need to do is follow instructions given by Mobile Gmaps. I recommend a printout of these instructions! It works fine on any Java enabled phone. I have loaded it on my Sony Ericsson and also on Samsung Wave. It works fine both on-touch and trackball and is a great tool to get navigation in cities. It took me about 30 mins to download and get Mumbai city map to the last possible zoom level on my mobile. Now I have full-fledged off line Mumbai map for navigation…. Try It! I strongly recommend for all those who wish to rely on maps before they hit the road! Step 1 : Download Mobile G Maps(For offline and online maps). A complete procedure to download map tiles and store them on your mobile. Step 3: Transfer these Tiles on to your mobile. For those who live in Mumbai like me, you can download the Mumbai Yahoo map tiles from the link here below. For business traveler, Its just a matter of downloading tiles of the city he is visiting and load it on your mobile! Its a good idea to share the city tiles. Store them on a sky drive or any other Web storage and send me the link. Thank you Mobile G Maps!